John Mullane has hailed Dublin fullback Eoghan O'Donnell as 'the best in the country' and defended Mattie Kenny for how he set his team up for the league semi-final against Limerick. Dublin were defeated 1-19 to 1-16 in Nowlan Park to bring their heartening league campaign to a close, with Kenny's side frustrating the All-Ireland champions by clogging up the middle third and tackling ferociously. While this physical approach made Dublin very competitive, it didn't prove popular with everyone - Kilkenny legend and current Laois manager Eddie Brennan branding it 'ugly' hurling. However, speaking on The Throw-In, Independent.ie's GAA podcast in association with Allianz, Mullane stood up for Dublin's tactics and praised their performance. "I'd actually applaud Mattie Kenny for how he set up his side," Mullane said. "For 50 minutes of that game, Dublin were excellent. When you are facing Limerick, they try to get more numbers than the opposition into the middle third and then work the ball into the space for their inside forwards. "If you are Mattie Kenny yesterday, you are trying to counteract that and get extra bodies around the middle third and an extra body in front of his own fullback line to protect the space that Limerick are so good in. "Against Galway, Dublin used Sean Moran in that pocket. Throughout the course of the league and throughout the course of games, they have used different systems." 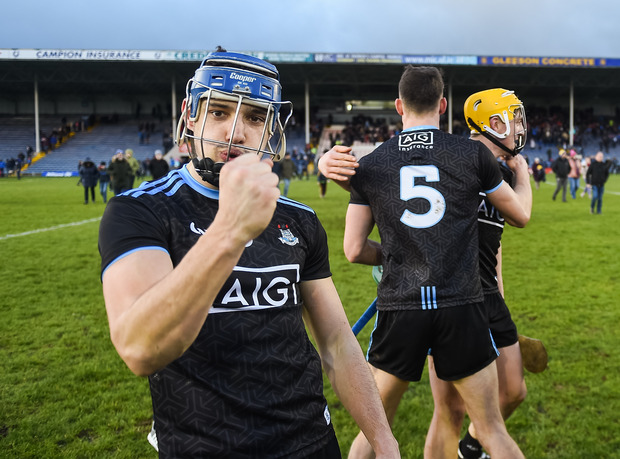 Dublin's rearguard has been particularly mean during the league besides the concession of four goals against Waterford at Parnell Park, and defender Eoghan O'Donnell has come in for particular praise. Mullane holds the young fullback up as the best player in his position at the moment. "Dublin have the best fullback in the country and I'm delighted he is getting the recognition he deserves," Mullane said. "Eoghan O'Donnell, I've been flagging this fella for the last two or three years and by God, what a fullback they have. Their two halfbacks, Chris Crummey and Shane Barrett, you won't get much change out of them. They were excellent on Gearoid Hegarty and Tom Morrissey." One area where Dublin have struggled, however, is up front, with the lack of a marquee scoring forward an issue that Kenny must solve heading into the championship. Mullane backs Dublin to emerge from a tough Leinster championship round robin, but adds that he feels they are lacking a potent scoring threat in attack. "They have Conal Keaney to come back and Liam Rushe and Mark Schutte but they are missing a marquee player in the forward line," Mullane added. "A marquee forward like Aaron Gillane, Joe Canning, TJ Reid where you are guaranteed 11 or 12 points every game. They have a problem with their free-taker. I wouldn't like to be playing Dublin in the summer though. If you are asking me whether they will be in the top three in Leinster, I would say they will be." Independent.ie Newsdesk For the first time in the Jim Gavin era, Dublin are not going to be competing in a league final, but after defeat to Tyrone, are we reading too much into the Dubs' latest loss?